Fraxel® laser is a safe, non-invasive procedure that allows one to rediscover the fresh, healthy skin of youth. This “fractional” approach to treatment uses the body’s’ natural healing process to create new, vibrant and healthier-looking tissue. Fraxel laser treatments produce thousands of tiny but deep columns of treatment in your skin, known as microscopic treatment zones. This treatment eliminates old epidermal pigmented cells. It also penetrates deep into the layers of the skin. 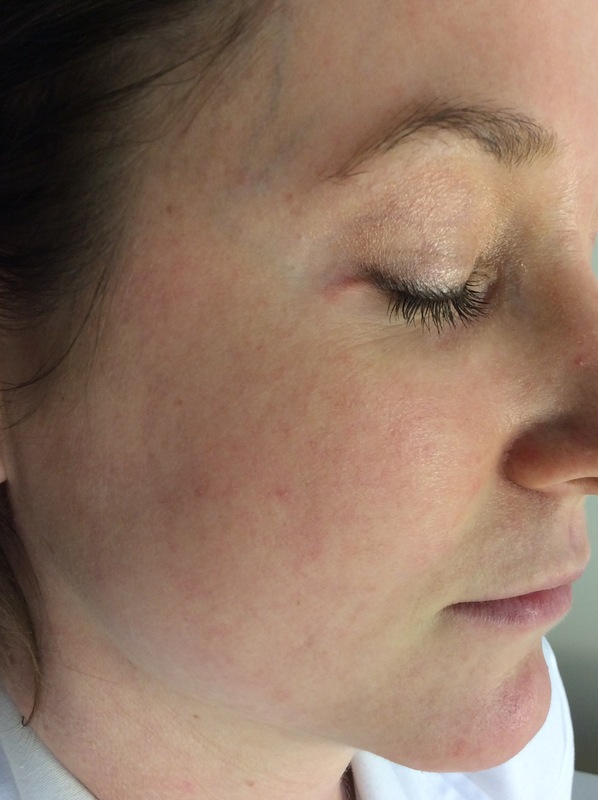 Just as important, though, are the areas of skin the Fraxel laser leaves untouched. For every microscopic zone the laser targets and treats intensively, it leaves the surrounding tissue unaffected and intact. This “fractional” treatment allows the skin to heal much faster than if the entire area were treated at once, using the body’s natural healing process to create new, healthy, tighter tissue to replace skin imperfections. At the consultation, we will discuss medications needed prior to and during your treatment. You will be instructed to stop Retin A, Tazorac, Differin, Glycolic, Hydroquinone and Vitamin C, one week before Fraxel® laser treatments. Patients arrived 60-90 minutes before their appointment time to numb. The treatment area will be thoroughly cleaned prior to the procedure. Treatments usually take approximately 30 minutes and are well tolerated. The laser hand-piece will be glided across the area to be treated (e.g., face, neck, chest, hands, etc.). A special cooling device will blow chilled air across the skin as it is being treated. As the hand-piece delivers the laser energy, you will feel a heated prickling sensation and hear a sound from the machine that resembles a chirping sound. If treating the eyelids, numbing drops and orbital eye shields will be used. What happens after your Fraxel® treatment? You will experience a mild sunburn sensation for about an hour. The skin will have a red tone for two to three weeks. This is a normal sign that the skin is deeply healing. You may apply make-up a few days after treatment. Many patients are able to return to routine activities, including work and social obligations, the day after treatment. New epidermal skin develops within 24 hours. Due to mild swelling, patients should avoid exercising for one week. Flaking: Your skin will naturally and vigorously exfoliate as new skin replaces dead tissue. Flaking is similar to that of a minor sunburn but without the associated pain. Use of medical grade moisturizers will assist in minimizing the appearance of flaking. We will recommend a skin care regimen that will enhance your Fraxel® laser treatment result. 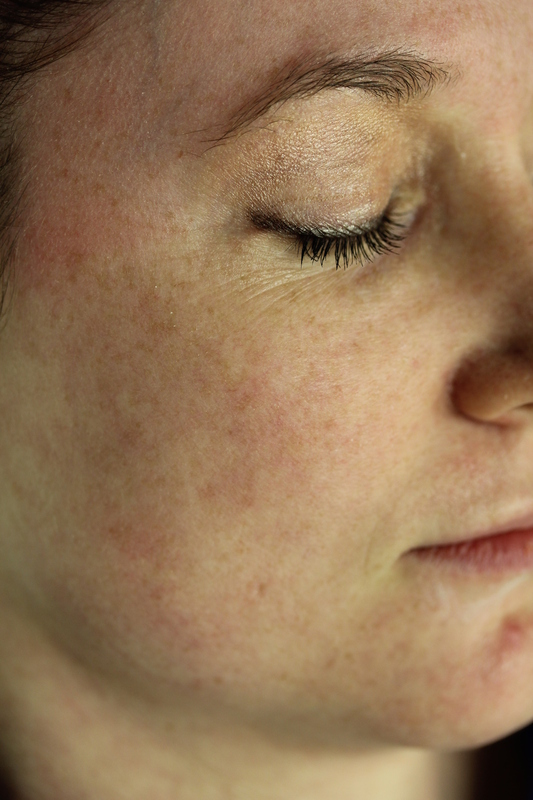 Acne flare-ups may occur after Fraxel® laser treatments. An oral antibiotic may be prescribed in this case. Over the following weeks and months, the body repairs the deeper dermal tissues that have been affected by the Fraxel® treatment. This produces more beneficial and longer lasting changes associated with a healthy, youthful appearance.